When Roberta Schneider was diagnosed with esophageal cancer in 2009, “It was the worst of the worst,” she recalls. Her gastroenterologist, Dr. David Markowitz, discovered the cancer had broken through four of the five esophageal walls and recommended she see Dr. Frank D’Ovidio, Surgical Director of NewYork-Presbyterian’s Lung Transplant Program. Because of surgeries related to a prior car accident—which was the beginning of Roberta’s relationship with NewYork-Presbyterian—Dr. D’Ovidio had to navigate around a rod in her torso while simultaneously removing the cancerous cells, successfully performing the first operation of its kind. 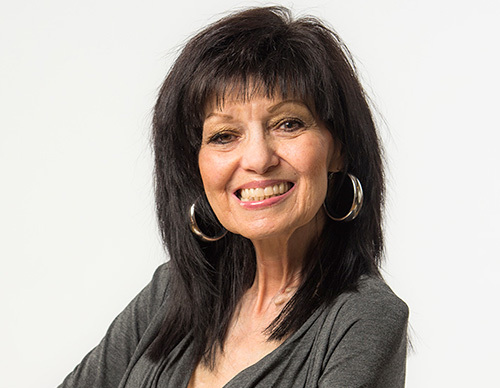 Roberta then began working with Dr. Lucian Sulica, Director of the Sean Parker Institute for the Voice, to regain her voice following the postsurgery radiation and chemotherapy.